"I think that at some point of our lives, all women had had violent experiences," said Erika Almenara, assistant professor of Spanish in the Department of World Languages, during an interview about her most recent book titled Perhaps. Almenara is to host the launch of her most recent creative work at 5 p.m. Tuesday, Feb. 19, in 104 Mullins Library. 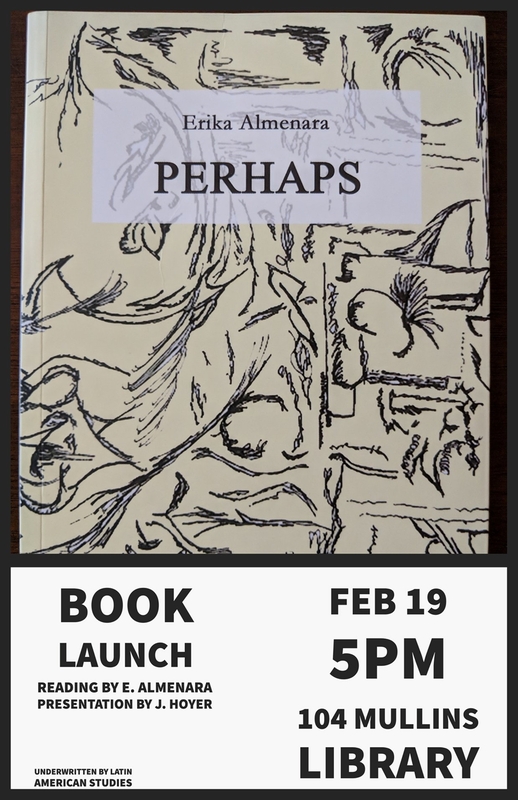 During this event, there will be a reading by Almenara and a presentation by Jennifer Hoyer, associate professor of German who also served as the designer for the book's cover. According to Almenara, the book has an array of purposes. Some of them would be to address the consequences and aftermath of sexual trauma. "To go beyond the event per se and look at the costs of surviving this kind of trauma and how it affects daily life, every interaction and experience," she said. "The book also proposes love and eroticism as healing mechanisms. It looks at the relevance of reclaiming women's bodies; it celebrates the jouissance of women of color and LGBTQ-plus women despite the historical use of their bodies as sites of violence and oppression." It attests to the beauty of language and the paths it opens to feel love, pleasure and healing. The book has three parts and is written in Spanish but the poems are being translated to English by Emily Aguayo, a student of the M.F.A. program in creative writing (English). "Anybody who likes complex but meaningful poetry should read this book," said Almenara. The book will be available for purchase after the event.